Another fantastic trip to Cuba! I just returned from my second two-week trip to Cuba with the Caribbean Conservation Trust to survey and photograph the avian fauna of Cuba. Once again, my guide Raydali O’Farrill was fantastic, as were my local guides Osmany in Guanacahabibes, Caesar in San Diego, and Angel and Orlando in Zapata. This trip was taken prior to the usual tourist season, and it was still the rainy season in Cuba. The first few days in Guanacahabibes were pretty wet, as a storm passed through, and it was decidedly un-birdy, with the exception of a lot of female and immature Bee Hummingbirds. The consensus among all of the Cuban guides I spoke with on this trip is that the male Bee Hummingbirds molt and lose their gorget color after the breeding season, which is very interesting. I’m not familiar with any other hummers that do this. The males of the Vervain Hummingbird in Hispaniola (almost as small) have no throat color at all. I’m curious what’s different in Hispaniola and Cuba that results in these differences from other hummingbirds. According to the local guides, the best time to see/photograph male Bee Hummers in breeding plumage is in March-June, when the gorget is in full color. We did not find any migrants at Cabo San Antonio, but it was nice to go to the western-most tip of Cuba. In fact, on this trip in general we found very few migrants: predominantly a few Broad-winged Hawks and a handful of warblers. That will change decidedly in November! With thanks to Osmany, we took many excellent landscape shots of this most unusual habitat, and I also got my best Cuban Tody shot to date. I turned Raydali into a photographer on the trip with my backup camera and some brief instruction – she did incredibly well! She is a quick study and she has a good eye. 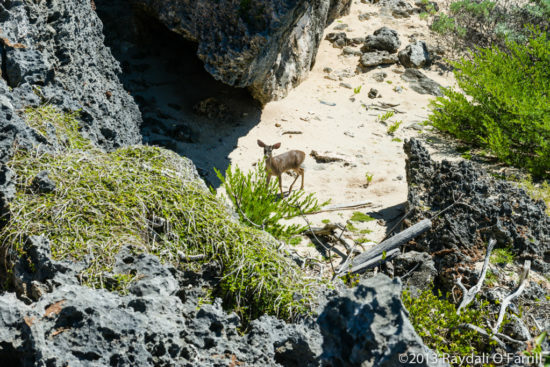 She used my backup Nikon D800E and we frequently swapped lenses – it was easier for me than carrying everything. Ray spotted and photographed the only deer that Osmany has ever seen or heard of in Guanacahabibes – very cool! She also got excellent shots of Cuban Tody and others. She’s a natural. In San Diego, I got excellent photos of Cuban Green Woodpecker and a few other endemics, but we struck out on Cuban Grassquit, even after two attempts. Raydali saw the Grassquits once and got a nice “record shot.” Caesar tells me that March-April are fantastic for this species (and many others). He was also frustrated at not locating many Cuban Grassquits, but we made good efforts – the birds were just not there in significant numbers. The resident Kestrel was once again present across the road from El Mirador Hotel, giving Raydali lots of opportunity to practice taking photos. In fact, we saw more than a dozen Kestrels on roadside power lines in the area. A bonus in this area was a male Olive-Capped Warbler. Zapata was a gold mine, as expected. Angel in particular knew the light I was looking for, the direction I needed to shoot from, etc. He and Orlando did a great job locating Cuban Pigmy Owl, Cuban Screech Owl, Fernandina’s Flicker, Blue-headed Quail-Dove, Grey-headed Quail Dove, Bee Hummingbird, and others. We had more difficulty with Zapata Wren, until we took a boat through the Zapata Swamp at Santo Thomas. The wren insisted on maintaining a position where it was primarily back-lit, but I was still able to obtain a few excellent shots. The swamp itself is absolutely magnificent! Perhaps most incredible was a trip to La Salina. It was decidely different from last November, when the water level was low and Flamingos were seen by the thousands. 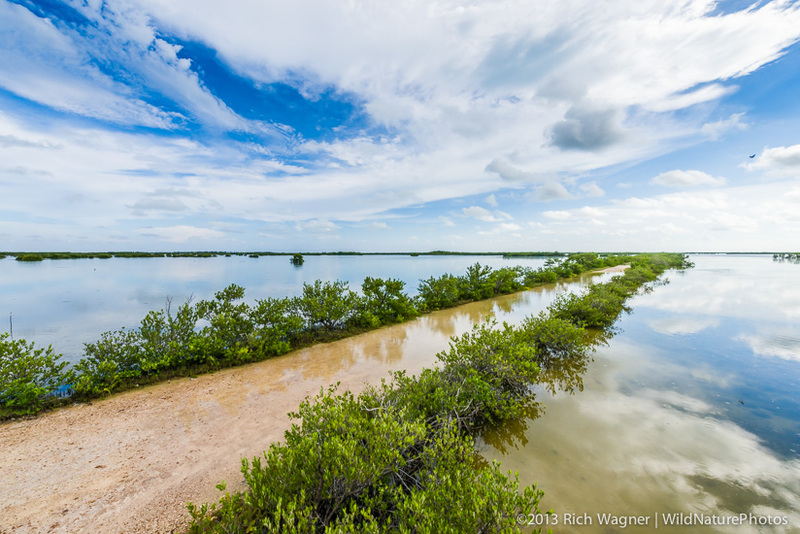 This time, the road was nearly always covered with water and wading birds! The van was like being in a boat going down a channel. The birds were primarily located on the water-covered road or in the vegetation on the edges of the road. 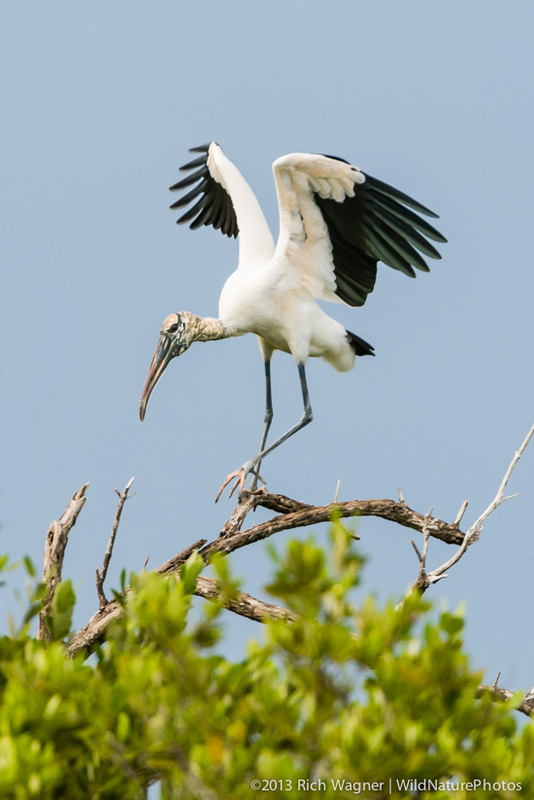 Notable were many species of egrets, Cuban Black Hawk, a Roseate Spoonbill, and several Wood Stork. I now have a lot of editing / keywording to do to prepare images from this trip, but I’m anxiously looking forward to a return trip next year. 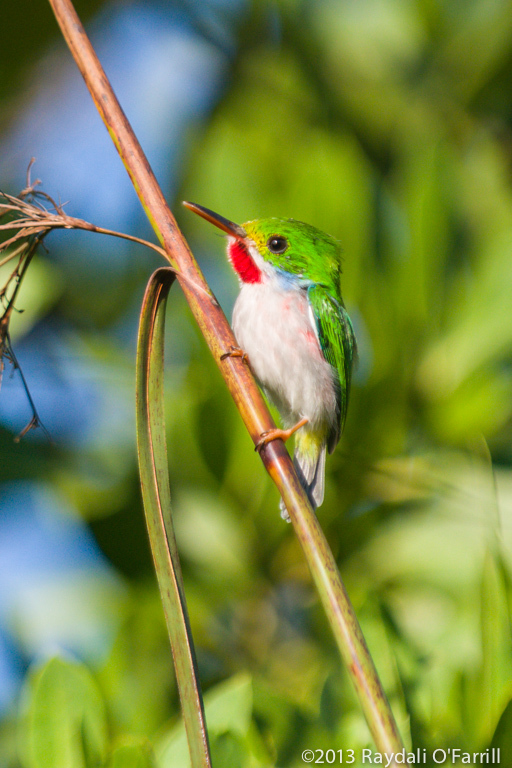 Cuba is home to at least 26 endemic bird species — birds found no where else in the world — including the Bee Hummingbird (the smallest bird on our planet), the Cuban Screech Owl and Cuban Tody. The Zapata Sparrow is the only sparrow endemic to the West Indies. 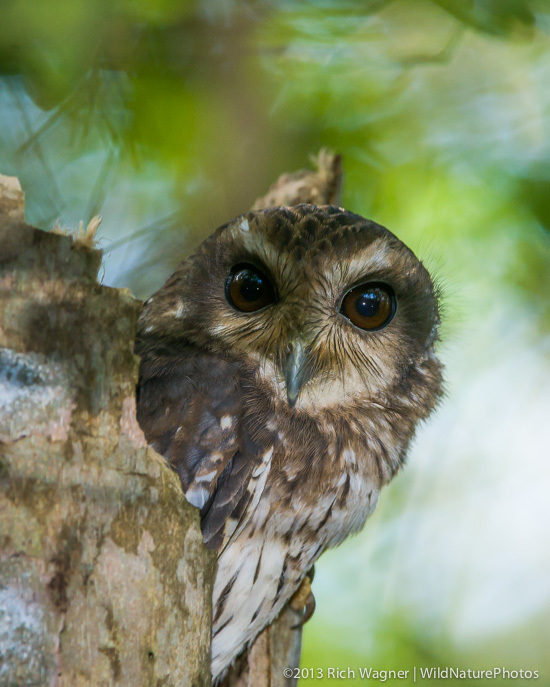 Nine of the endemic species of Cuba are endangered or vulnerable, and a dozen or so endemic subspecies have the potential for full species status. 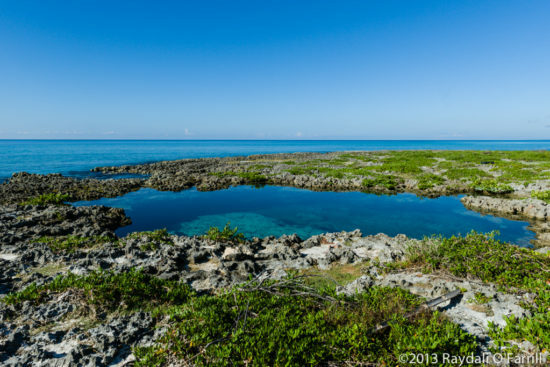 This high level of endemism alone signifies Cuba as a globally important place for birds. Cuba is also one of the most important wintering and stopover sites for North American migrant birds, and over 100 North American nesting species winter in or pass through Cuba on migration. If you are interested in traveling to Cuba and participating in an ongoing scientific survey of the birds of Cuba, including both endemic and migratory species, I highly recommend that you contact Gary Markowski of the Caribbean Conservation Trust. 1 Comment on Another fantastic trip to Cuba! Super post Rich – glad the trip was so successful. 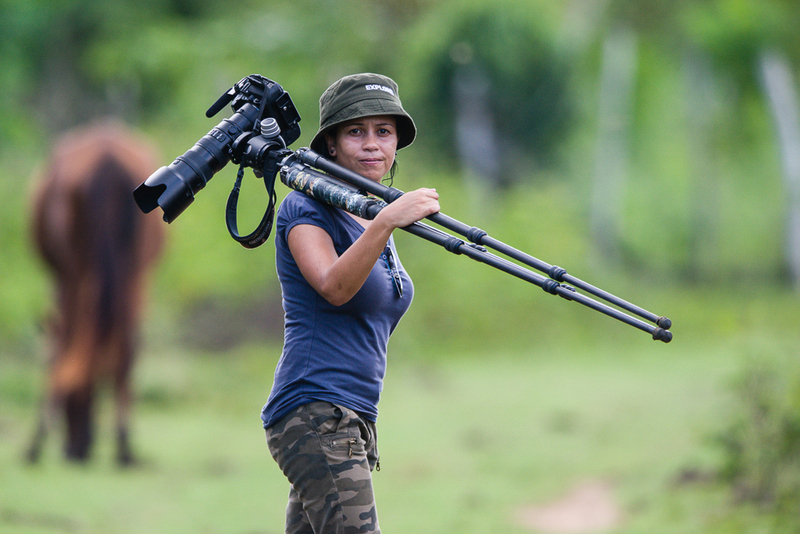 Transferring photographic know-how to your guide is invaluable for her. Many times visitors need guides who understand photography and photographers, for getting them to the right places at the right time to make the winning photos. This kind of “exposure” will serve her well in her career as a nature guide.